Newly crowned WBO heavyweight champion Joseph Parker is lining up his first title challenger for April 8, and there are at least three names in the running for the shot. Parker could fight a British foe in David Price or Hughie Fury, or he could face unbeaten New Yorker Jarrell Miller. According to a piece on Sky Sports News, who spoke with Price, Parker’s people are keen on “showcasing” Parker in the UK, and would therefore prefer a British challenger for April. Bob Arum, who was quoted as speaking with Boxing Talk, said the April challenger will be either Price or “Big Baby” Miller. 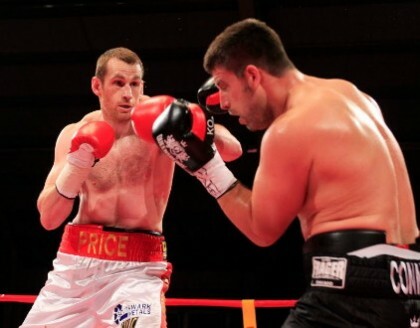 Price spoke with Sky Sports and he is very much up for the fight with the unbeaten New Zealander. Price, for all his perceived shortcomings, can punch very hard and as far as a first challenger for the still improving Parker, the former Olympian makes a good opponent. So too do Fury, unbeaten, and Miller, unbeaten. Fury is still young, yet he has proven skills, while Miller is a huge heavyweight with proven punching power. Who would you rather see Parker make his maiden defence against? With Deontay Wilder set to return in February, with Parker to fight in early April and with Joshua and former king Wladimir Klitschko ready to rumble at the end of April, the first quarter of 2017 is shaping up as an interesting time for the heavyweight division.